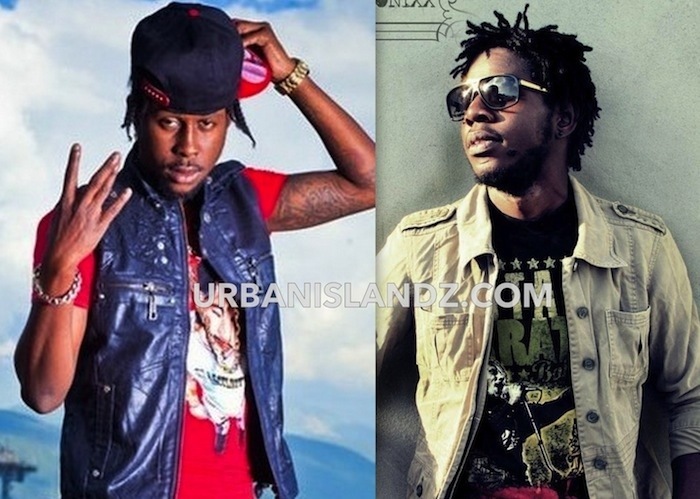 Is there a beef cooking between Popcaan and Chronixx? The gritty single will be released on the MP40 Riddim, produced by Miller 9 Records. “Yow NotNice the last time mi check courage mean brave, Yow miller true some p—- hear man seh di party buck dem think seh we party nuff, Not even Selassie or Jesus cyah save dem when di bloodc—- 40 buss,” Popcaan deejay. Speculations are that Popcaan is responding to an alleged Chronixx diss track titled “Odd Ras” released last year. However, Chronixx management says the single was not aimed at anyone in particular. Popcaan is also responding to Black Ryno’s diss track titled “Courage” released after their infamous brawl at Sting 2012. During an interview with Winford Williams of OnStage in January, Popcaan says he would not be engaging in a lyrical feud with Black Ryno. “First thing is me and that boy not going to clash… I have to have a different rival because he is not qualify,” Popcaan said.